Hello everyone Pizza Dave here, delivering a review of the Kylin V2 by Vandy Vape. VV has made a bunch of tweaks to the original Kylin for this one. It feels like a blend of the Kylin V1, the Kensei, and the Kylin Mini all wrapped into one RTA. This version is shrunk down in overall size, but still offers 6ml capacity thanks to bubble glass. They also ditched the typical screw off top fill and went with a slide to fill option. I loved the Kylin V1 even with the minor quirks it had. So, let’s dive down and see if it is deserving of the Kylin name, and as always, I will see you down at the bottom for my final thoughts. Available in Green, Red, Gold, Purple, Black, Stainless, Rainbow, and Blue. The build deck of the Kylin V2 resembles the Kylin Mini a bit more than the original Kylin. It seems like it is basically a Kylin V2 but made for two coils. The orientation of the coil screws puts pressure on the flat side of advanced builds, so that’s a nice pro with this deck. I ran it with fused Claptons and round wire, and each time it was simple to build on and is made even easier when using the coily tool to cut to the perfect length right away. I installed dual coils every time but can see this working well with a single coil as well. When installing dual coils, it is best to bend the leads on the coils, so they come off the same side. This will help the install process immensely, especially if you run 3mm coils. There isn’t a ton of room to jam 3mm coils in the space, but it is doable. 2.5mm coils would offer a few advantages. One, is they will fit in the deck easier, and secondly, there will be less cotton to thin out for wicking. Lastly, be sure to keep the coils down close to the deck, or they will touch the tapered chimney and short out. 2.5mm coils fit in place with much more room, but 3mm are dangerously close to the top even when installed low. Wicking on this one is vastly different than the Kylin V1. The wicking channels are smaller, but deeper than the original. What I found can happen with this is it can be easy to pack in the wicking too tight, and this will fast track you to dry hit city. What you are going to want to do is thin the wicks a TON, more so if the coils are 3mm. Then, you are going to want to trim them just barely long enough to get down into the juice flow channels. Be mindful, and evenly disperse the cotton from each coil into these channels. Less is more on this deck, which is unlike the Kylin V1, which had ample space for a lot of cotton. If you nail this wicking down, the Kylin V2 will flat out perform. I never got this one to leak, but I was able to wick it too tight and get dry hits. The air flow on the Kylin V2 remains bottom air flow that mixes the slots of the OG Kylin with the ports of the Kylin Mini/Kensei. This combination works well and creates a nice smooth bottom air flow. The air flow on this is plenty for all types of builds and I commonly ran it with the air flow half open. The only con I can think of with the air flow is the adjustment ring. With a combination of the bubble glass and a wider mod, it is hard to reach in and adjust. Not air flow related, but if it is super tight on a mod it can also be hard to reach in and spin it off at the base. The result is disassembly of the rta rather than unscrewing from the mod. If you get the wicking nailed down like I mentioned above, what you will experience is one of the best tasting RTAs on the market. The vapor is dense and flavorful. The air flow is silky smooth, and it has a simple slide to fill method. It outshines the Kylin V1 in all categories and has become one of my favorite RTAs to date. They were able to achieve a 6ml capacity while keeping the chamber shorter (thanks to bubble glass), which is a solid recipe for getting the best flavor possible. Every type of liquid I put in this had a new life and this is right at the #1 spot for RTAs I have reviewed in 2018. It might be a bold statement, but I think that the Kylin V2 is the best RTA that Vandy Vape has made to date. It is simple to build on and is made even easier with the inclusion of the coily tool. I never experienced leaking what so ever on this tank, which is a huge win over the OG Kylin. The flavor is top notch and the overall size is not massive, but still has a solid 6ml liquid capacity. Not everything is perfect with this atty though. Wicking will take some time to perfect, but once it is nailed, it is awesome. This is probably the number one con I found with it. A small con has to do with the shape of the RTA like I said previously. The bubble glass, combined with a narrow base makes adjusting the air flow hard to reach, and if you crank this down on a mod that is wider, it will also be tough to remove without disassembling the RTA. The flavor, vapor production, and smooth airflow put this RTA in my top spot for RTAs of 2018. I love it and can suggest it to anyone looking at getting a great RTA. It might be a bit finicky for new builders, but patience and practice will prevail and provide a great vaping experience. If this were to accidentally go into the pizza oven would I go out and get another? For sure. It won’t hit my vape shelf any time soon. Thank you everyone for reading my review and thank you to Vandy Vape for sending it my way for review. This is looking like it is not quite on the market yet. 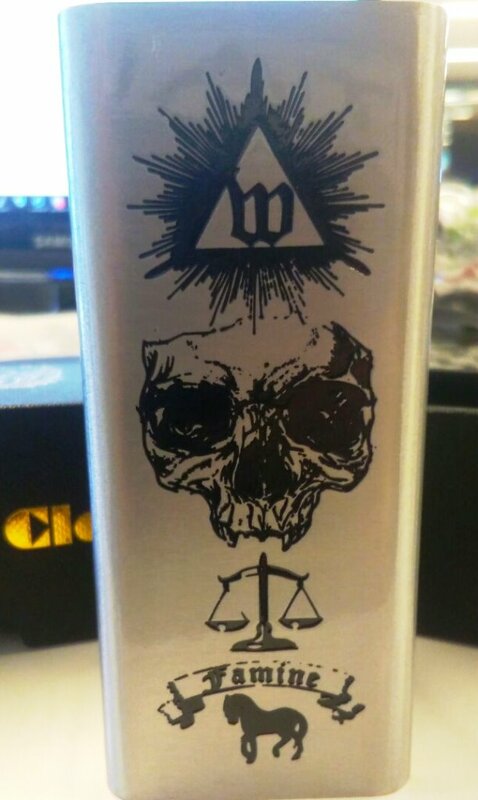 Pre-order prices are showing that it is in the same realm as other Vandy Vape products and will list for $30-40. One thing I did notice is some sites are listing the OG Kylin, or Kylin 1.5 as the Kylin 2. Pay attention to the listings so you don’t get burned. INTRODUCTION______________________________________________________________________________Hello everyone Pizza Dave here, delivering a review of the Kylin V2 by Vandy Vape. VV has made a bunch of tweaks to the original Kylin for this one. It feels like a blend of the Kylin V1, the Kensei, and the Kylin Mini all wrapped into one RTA. This version is shrunk down in overall size, but still offers 6ml capacity thanks to bubble glass. They also ditched the typical screw off top fill and went with a slide to fill option. I loved the Kylin V1 even with the minor quirks it had. 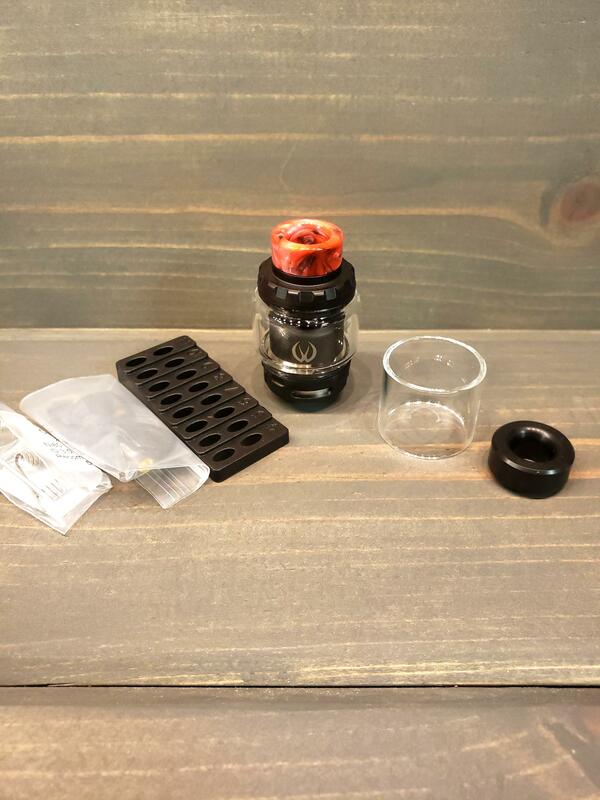 So, let’s dive down and see if it is deserving of the Kylin name, and as always, I will see you down at the bottom for my final thoughts.​Disclaimer: This device was sent to me by Vandy Vape for review.______________________________________________________________________________​WHAT YOU GET​1 Kylin V21 Resin 810 drip tip1 Delrin 810 drip tip1 Spare 3ml straight glass1 Accessory bag1 Coily tool1 set of fused Claptons1 ManualAvailable in Green, Red, Gold, Purple, Black, Stainless, Rainbow, and Blue.​REVIEW PACKAGING​UNBOXED​STOCK SHOT​​______________________________________________________________________________​BUILD DECK AND WICKINGThe build deck of the Kylin V2 resembles the Kylin Mini a bit more than the original Kylin. It seems like it is basically a Kylin V2 but made for two coils. The orientation of the coil screws puts pressure on the flat side of advanced builds, so that’s a nice pro with this deck. I ran it with fused Claptons and round wire, and each time it was simple to build on and is made even easier when using the coily tool to cut to the perfect length right away. I installed dual coils every time but can see this working well with a single coil as well. When installing dual coils, it is best to bend the leads on the coils, so they come off the same side. This will help the install process immensely, especially if you run 3mm coils. There isn’t a ton of room to jam 3mm coils in the space, but it is doable. 2.5mm coils would offer a few advantages. One, is they will fit in the deck easier, and secondly, there will be less cotton to thin out for wicking. Lastly, be sure to keep the coils down close to the deck, or they will touch the tapered chimney and short out. 2.5mm coils fit in place with much more room, but 3mm are dangerously close to the top even when installed low.​Wicking on this one is vastly different than the Kylin V1. The wicking channels are smaller, but deeper than the original. What I found can happen with this is it can be easy to pack in the wicking too tight, and this will fast track you to dry hit city. What you are going to want to do is thin the wicks a TON, more so if the coils are 3mm. Then, you are going to want to trim them just barely long enough to get down into the juice flow channels. Be mindful, and evenly disperse the cotton from each coil into these channels. Less is more on this deck, which is unlike the Kylin V1, which had ample space for a lot of cotton. If you nail this wicking down, the Kylin V2 will flat out perform. I never got this one to leak, but I was able to wick it too tight and get dry hits.______________________________________________________________________________AIR FLOWThe air flow on the Kylin V2 remains bottom air flow that mixes the slots of the OG Kylin with the ports of the Kylin Mini/Kensei. This combination works well and creates a nice smooth bottom air flow. The air flow on this is plenty for all types of builds and I commonly ran it with the air flow half open. The only con I can think of with the air flow is the adjustment ring. With a combination of the bubble glass and a wider mod, it is hard to reach in and adjust. Not air flow related, but if it is super tight on a mod it can also be hard to reach in and spin it off at the base. 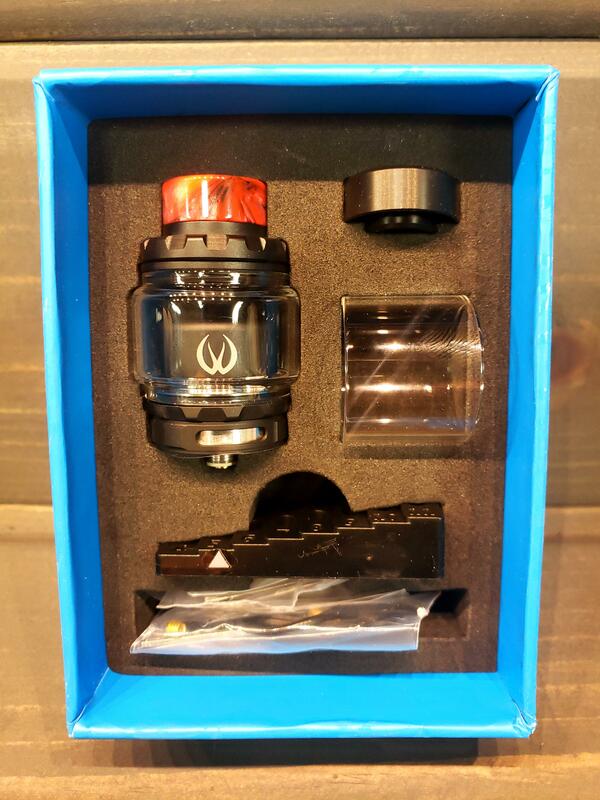 The result is disassembly of the rta rather than unscrewing from the mod.______________________________________________________________________________​HOW IT VAPESIf you get the wicking nailed down like I mentioned above, what you will experience is one of the best tasting RTAs on the market. The vapor is dense and flavorful. The air flow is silky smooth, and it has a simple slide to fill method. It outshines the Kylin V1 in all categories and has become one of my favorite RTAs to date. They were able to achieve a 6ml capacity while keeping the chamber shorter (thanks to bubble glass), which is a solid recipe for getting the best flavor possible. Every type of liquid I put in this had a new life and this is right at the #1 spot for RTAs I have reviewed in 2018.______________________________________________________________________________​PHOTO GALLERY​KYLIN V2 ALBUM______________________________________________________________________________​FINAL THOUGHTSIt might be a bold statement, but I think that the Kylin V2 is the best RTA that Vandy Vape has made to date. It is simple to build on and is made even easier with the inclusion of the coily tool. I never experienced leaking what so ever on this tank, which is a huge win over the OG Kylin. The flavor is top notch and the overall size is not massive, but still has a solid 6ml liquid capacity. Not everything is perfect with this atty though. Wicking will take some time to perfect, but once it is nailed, it is awesome. This is probably the number one con I found with it. A small con has to do with the shape of the RTA like I said previously. The bubble glass, combined with a narrow base makes adjusting the air flow hard to reach, and if you crank this down on a mod that is wider, it will also be tough to remove without disassembling the RTA. The flavor, vapor production, and smooth airflow put this RTA in my top spot for RTAs of 2018. I love it and can suggest it to anyone looking at getting a great RTA. It might be a bit finicky for new builders, but patience and practice will prevail and provide a great vaping experience.​OVEN TESTIf this were to accidentally go into the pizza oven would I go out and get another? For sure. It won’t hit my vape shelf any time soon.______________________________________________________________________________​PROSAmazing flavorEasy to buildHard to make it leak6ml capacity (while being relatively small)Looks great and has nice drip tipsSmooth air flow______________________________________________________________________________​CONSWicking takes a few tries to perfectAir flow ring is hard to reach when on top of a wider modMay disassembly itself when unscrewing from a mod because it is hard to reach the very bottom of the tank____________________________________________________________________________________________________________________________________________________________​Thank you everyone for reading my review and thank you to Vandy Vape for sending it my way for review. This is looking like it is not quite on the market yet. 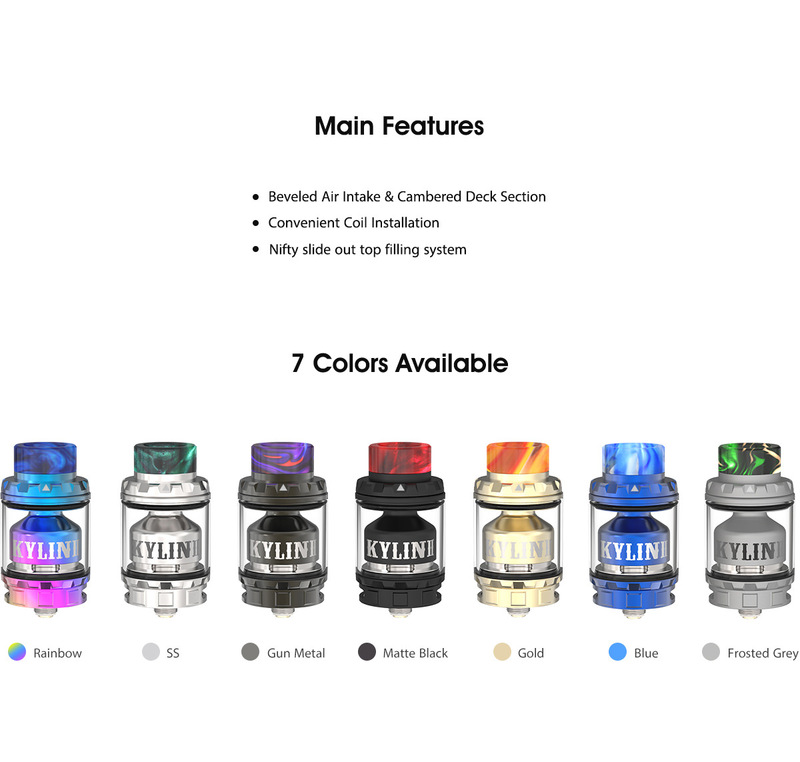 Pre-order prices are showing that it is in the same realm as other Vandy Vape products and will list for $30-40.​One thing I did notice is some sites are listing the OG Kylin, or Kylin 1.5 as the Kylin 2. Pay attention to the listings so you don’t get burned.​____________________________________________________________________________________________________________________________________________________________​Pizza Dave – delivering real reviews with no extra toppings​____________________________________________________________________________________________________________________________________________________________​REVIEW CRITERIA: I use each item extensively for about two weeks to ensure I have collected enough data to adequately write a review. I use the same e liquid in tanks or rdas throughout all my reviews to ensure that I am comparing apples to apples between all modern equipment. I do not post reviews until I feel confident that I have used all products enough to give an educated review. The reason I started doing reviews was due to poor purchasing decisions in my vaping infancy about two years ago. Back then, I purchased several different pieces of hardware without really enjoying them and I hope my reviews can guide people into spending their hard-earned money more wisely than I did! ****Keep in mind that some items I receive may be pre-release and not in retail packaging. Quality may be less than the finished product and what is in the package may differ from the retail package as well.